On a catalysed exhaust system, the rear silencer box is always the first to go, particularly after a lot of high condensation short runs from cold in the winter. So it is highly opportune that Vauxhall Masterfit is offering replacements from just £35 fully fitted, including all clamps, brackets and VAT. And they are covered by a two year guarantee. Prices start at £35 for Novas, at £39 for Corsas and at £45 for Astras and Vectras. Remember, a blowing rear silencer is an automatic MOT failure. It can also be dangerous because the pipes tend to fracture just in front of the rear box after which the silencer can drop down, be torn off the car and create a severe hazard for following vehicles especially on the motorway. So look underneath for flaking rust on the pipe just in front of the rear box and, if you find any, have the silencer replaced straight away. 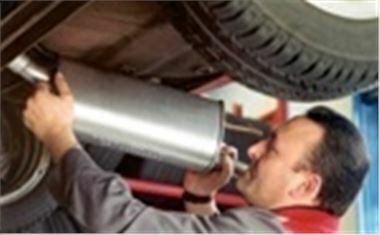 More at www.vauxhall.co.uk Or for youyr nearest Masterfit centre, phone 0845 600 1500.